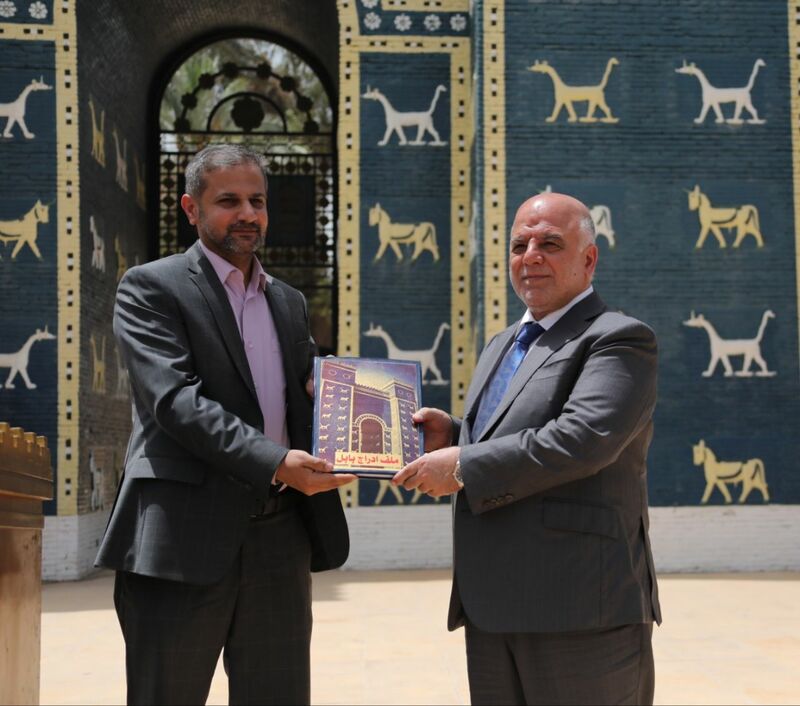 His Excellency Prime Minister Dr. Haider Al-Abadi has expressed his pride in receiving the file of listing Babylon on the World Heritage List, Which has been working during the last period with those responsible for this file globally after witnessing the destruction of the former regime. During His Excellency speech in handing over the Babylon file to the World Heritage List, his Excellency has added that, as we have worked to include the marshes on the heritage list despite the difficulties and formed a committee on it, we will work hard to include Babylon on the World Heritage List. His Excellency Dr. Haider Al-Abadi has said when we mention Babylon, the world remembers civilization, and today we also teach the world of heroism because we have started the strong and united Iraq phase, through the championships of our forces. His Excellency has denied what is promoted by the parties to cut the allocations of our heroic forces, indicating that at the time of low oil prices and the difficulty of covering the costs did not cut those allocations, how we cut them today.